Fascinating. I wanted to know mine. somewhat well-versed in complementary medicine, had never heard of this test. I don’t like being told I can’t do something. Furious, I got home and looked up the test: it was very inexpensive, and certainly something I would pay out of my own pocket. But I never got that choice. If only that were an isolated experience, but even getting something simple like a 25-hydroxyvitamin D test demanded me practically pleading with this doctor. I got numerous excuses when I asked: Insurance wouldn’t cover it; there was no real need for this test; why would I possibly be concerned about that marker? You know, like I was a 12-year-old pleading mom and dad for designer jeans. Finally I got fed up and found a new doctor. Elevated cortisol levels in the waiting room coupled with my inability to choose were not worth whatever benefits insurance covered. As I complained to friends and colleagues, I learned I wasn’t alone. Most doctors allow very little if any choice about testing. They use normal rather than optimal ranges to determine problems, and they’re quick to grab the prescription pad when sometimes a natural remedy could help. That’s where WellnessFX comes in. Imagine having access to whatever tests you choose, without going to a doctor’s office, that provide comprehensive yet easy-to-understand results that put you in the driver’s seat of health and wellness. Welcome to WellnessFX, where you get to choose among numerous packages that address everything from fat loss to physical performance to increased energy and libido. Let’s say you want to test your thyroid. A traditional medical doctor might only test one or several markers, but maybe you want something more comprehensive that tests optimal, not normal, ranges. Good luck explaining this to your doctor, but with WellnessFX, you can request multiple markers including thyroid-stimulating hormone (TSH), free T3, T4, and other thyroid markers. The results are solely yours. You can discuss them with your doctor or not. You can take them to a naturopath or nutritionist. Or you can do your own research about where to go next. Maybe you test and your inflammation markers come back high. Whereas your doctor might recommend an anti-inflammatory pharmaceutical drug, WellnessFX would recommend natural supplements like fish oil and curcumin. Unlikely, but should you decide to take that anti-inflammatory pharmaceutical, you can always visit your doctor who will probably happily prescribe it. Again, the choice is yours, not your doctor’s. · Patient empowerment – you can request your own lab work (through nationally recognized labs) without involving a doctor. · Excellent recommendations – based on your complete lab work, WellnessFX provides expert-advised dietary, nutrient, and lifestyle modifications personally tailored to your results. · No costly office visits – healthcare practitioners can access your results to make recommendations, manage lab data, and provide other feedback. You can interact safely, securely, with full legal protection. No need for costly office visits or trying to reach your doctor to discuss your results. · Customization – you get to choose among several packages where lab results are tailored whether you want to see an acupuncturist, osteopath, chiropractor, nutritionist, or medical doctor. · Mobility – you can load prior lab work and other medical testing to your WellnessFX profile to take wherever you go. If you move from, say, New York to Chicago, your medical history will follow you so there’s no need to depend on your doctor to transfer everything. (Anyone who’s experienced this knows what a complete nightmare it can become.) Laptop or iPhone, you have easy access to your own records. · Pricing – several different package options and they are all very reasonable. The key word in all these benefits is empowerment. You get to choose. Not your doctor or insurance provider. And you get to make decisions about your health. I want to be clear here: I’m not anti-doctor. I know most doctors have good intentions. Several of my esteemed colleagues are brilliant, progressive-thinking MDs. But many doctors are overworked, they don’t have time to review lab results, nor do most have the knowledge to recommend supplements or make effective dietary changes. Ultimately WellnessFX is designed to complement, not replace, your healthcare provider. If WellnessFX discovers something potentially serious in your blood work, they will flag your report, call you, and most importantly, make sure you’re referred to the appropriate medical professional. Either way, they’ve got you covered. What WellnessFX empowers you to do is see your doctor (or other healthcare professional) on your own terms. You – along with your doctor if you choose – get to choose what markers to test. You get to choose which actions to take and where to go next. Eager to try WellnessFX, I chose the third-tier “performance” package, perfect for someone like me who rigorously exercises because it tests for markers that affect athletic performance as well as general health and wellness. I took this test on my own terms, not when my doctor conveniently fit it into his schedule. I didn’t suffer elevated cortisol levels sitting in a crowded waiting room 45 minutes and battling my doctor over what tests I could take, which most certainly would skew test results. My results came back fairly quickly. Rather than those crammed-together, hard-to-read results your doctor gives you, WellnessFX made them clear, concise, informative, in a visually appealing format. So what were my results? Not squeaky clean, but close. I have hemochromatosis, or potentially danger high levels of iron in my blood. Not the end of the world, but definitely a concern. I get to decide what to do about that. Do I give blood regularly? Do I make dietary changes? Do I work with an integrative practitioner and utilize iron chelation? Getting those results put me in the driver’s seat to take charge of my health. And that is preventative medicine in a nutshell. This groundbreaking testing can help you take control of your health and well-being. That’s why I’m so adamant about it. I don’t get paid a penny to endorse WellnessFX; I do it because I want to start a revolution and help you take control of your health. 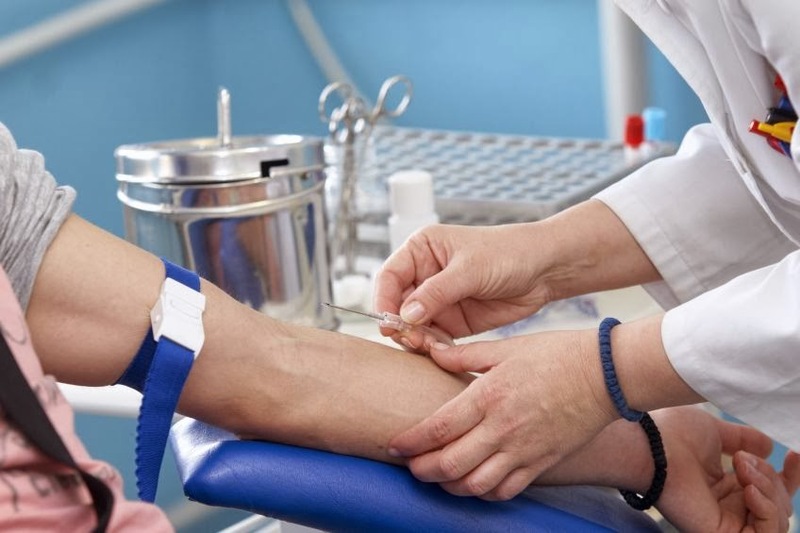 Whether you use WellnessFX or a traditional testing, please do your blood work regularly. Cancer and other potentially serious or fatal problems can be addressed and minimized if caught early, and blood work provides a good early-detection measure. While WellnessFX testing is completely affordable, your health savings account (HAS) might cover it. Unfortunately, WellnessFX is not available in NY, NJ, RI, and MD. Empowerment is a key word in this blog, and I know many of my readers have overcome sometimes-serious hurdles – even problems their doctors had become fatalistic about – and taken control of their health. I want to hear your story in the comments section below or on my Facebook fan page. Great information Jini that I will be sharing! I love the idea of being in control of our own health care!